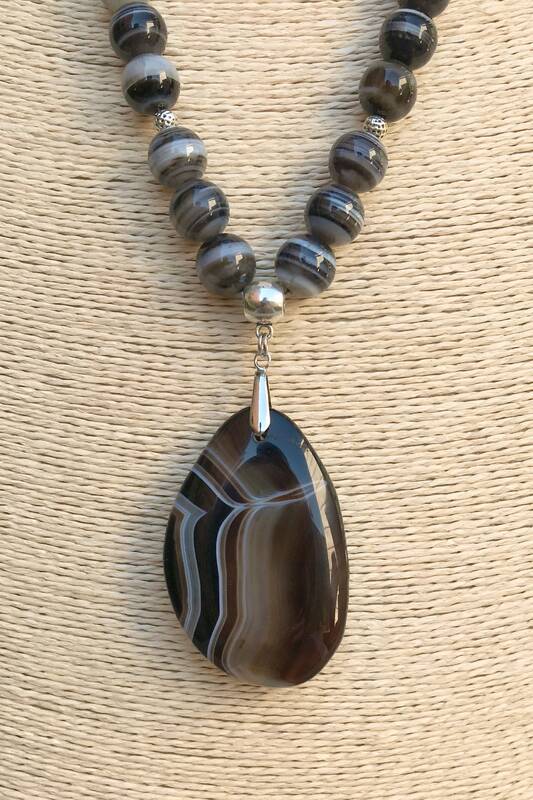 Botswana Agate Beads Shades Black, grey, brown, with silver beads and agate pendant Botswana shades Black, grey, brown. 5,000 years ago, the Sumerians, Assyrians and Phoenicians used it to make ornamental carvings. 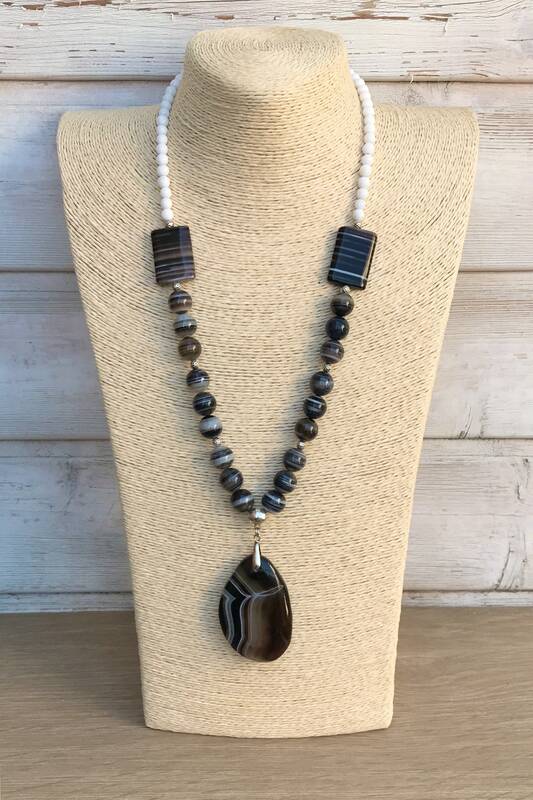 In Egypt they used amulets in the form of beetles made with this mineral, it was believed that the sacred beetle provided a long and vital life, as well as protecting from diseases and guaranteeing a prosperous crop. 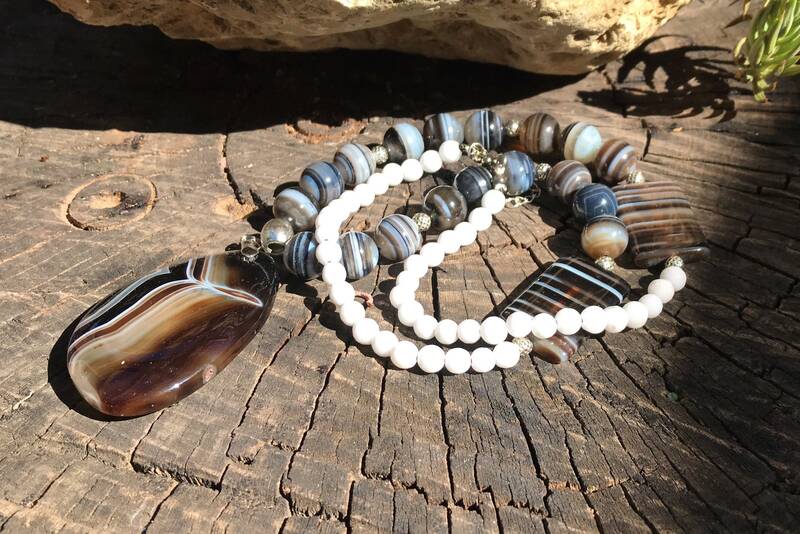 Agate Botswana is said to be a mineral that brings creativity, responsive and intuitive energy. 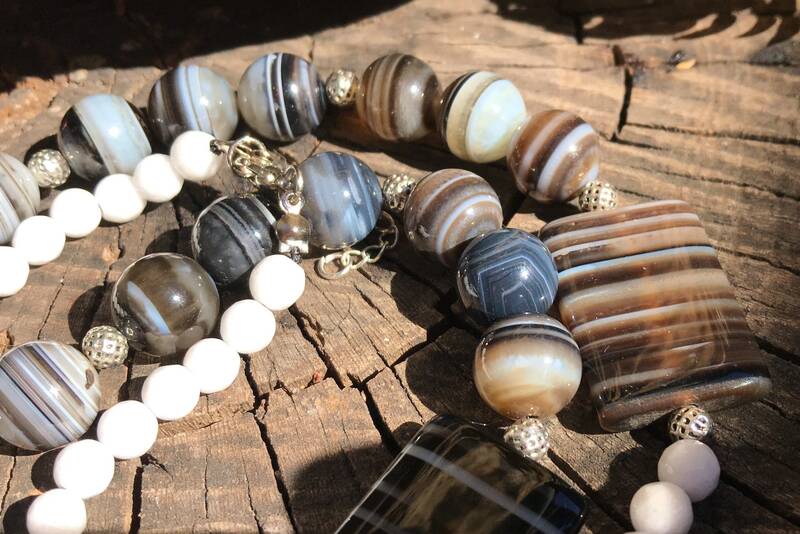 Botswana agate usually contains gray nodules that resemble the brain it is believed that by sharing this form the Agate acts on it. 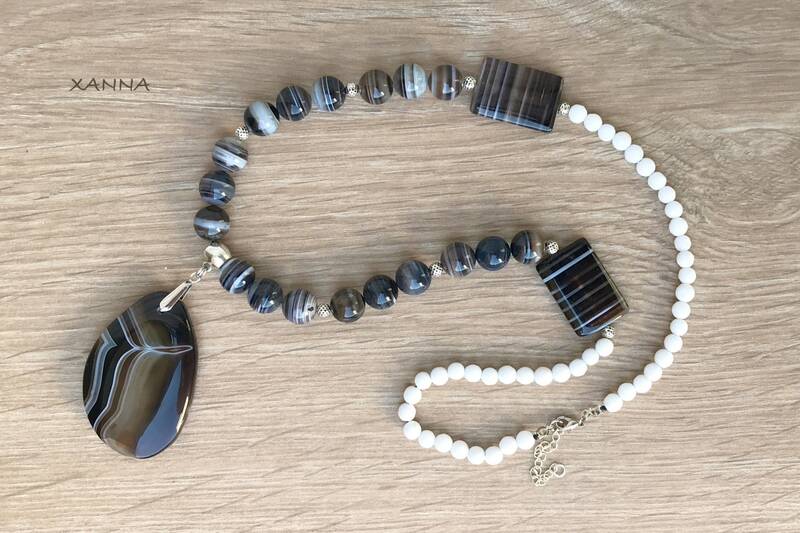 It is a mineral that favors meditation, and helps to get out of depressive states.